Who knew that a possible solution to Internet-less areas in the world was to just fly the Internet to them? Well, Google is doing just that – flying balloons of internet over rural areas to provide some of the 5 billion people on Earth that do not have access to the world wide web. The development team working under Google to do this job is simply called "X". The project name "Loon" comes from both how crazy they are to attempt this and (before it was revealed to the public) a hint that the project related to balloons. 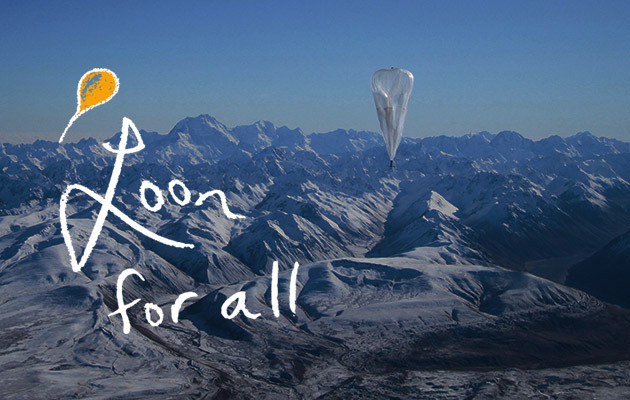 Project Loon is not a new project, but it is a very important move by Google that everyone should know about. This project – still in use today from its initial launch in 2013 – could drastically change the way (and creativity) we traditionally think about how we connect to the web. Cell towers, routers, and fiber may be some of the best ways you connect to the web, but it may be very unlikely a rural area has access to the funds or resources it requires. The balloons are launched in fleets to act as network extenders as they all connect to one another. This way, only a few of the balloons have to be in range of a cell tower. The telecommunications network connects to a few of the balloons that then connect all the balloons to the network. Next, the balloons beam signal down to the LTE phones at speeds up to 10 Mbps. The balloons are actually located in the stratosphere – about 11 miles from the ground – and fly 62 miles apart from each other. Every half-hour, a new balloon is launched into the air. These balloons don't last forever, though. The longest lasting balloon was reported to be 187 days old. On average, the goal is to have a balloon fly for 100 days. The balloons are also able to be driven to certain locations and remain in areas by setting the balloon's altitude. Using the natural jet streams in the atmosphere, balloons can drift in certain directions. This video explains the manufacturing and maintaining of the balloons. June 2013 – Google announces a project under the name "GoogleX." 30 balloons were test launched in New Zealand. 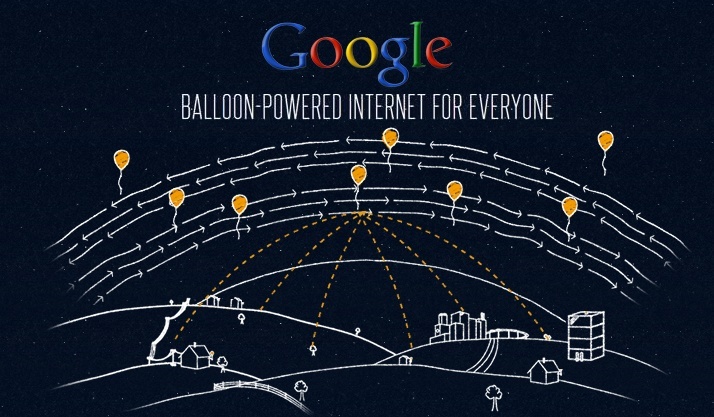 May 2014 – Director of GoogleX announced that wireless companies could lease the balloons for service. June 2014 – Google tested the LTE network balloons for the first time in Brazil. July 2015 – Google has permission from the Communication Technology Agency to launch on a massive scale. October 2015 – Google partnered with Indonesia in hopes to connect its 17,000 islands. March 2016 – Sri Lanka (island country in South Asia) gets full coverage of LTE internet from balloons. 2014 – A balloon chases into powerlines in Washington. New Zealand officials spot a balloon and mistake it as a threat. Farmer finds a crashed balloon in Karoo Desert. 2015 – Balloon crashes in Bragg City, Missouri. Balloon crashes into a yard in California. 2016 – Two crashes reported and three landings this year so far. Google Loon has not come out an officially said anything on the future of this project, but it is predictable that as long as it works, they will support it. The automated manufacturing of the balloons has made it faster, easier, and more reliable to launch. I am personally so excited to see major internet companies taking risks to creatively solve issues. More so, this project isn't just to change the way people who already have access to the cellular network or internet, this project is for those who have never had the opportunity to use those tools. I hope this project inspires more creative solutions from different companies all over the world.